When Blackmagic Design announced the $5,995 Ursa Mini Pro last year, it promised to be the company’s most full-featured cinema camera yet. It took everything Blackmagic had learned from its relatively short history of camera development and put it into one device, combining a 4.6K Super35 sensor and a modular camera body that can be configured for a variety of roles. 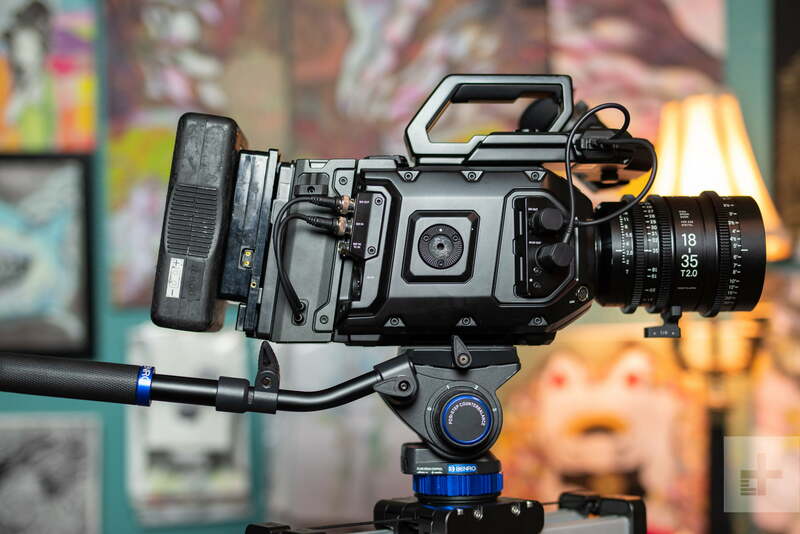 It’s a professional workhorse camera designed to be equally at home in a broadcast studio or on the set of a feature film, but it has a clear advantage over many comparable cameras when it comes to attracting more non-professionals: Simplicity. In a time when prominent YouTubers have started shooting content on the likes of Red digital cinema cameras — often costing tens of thousands of dollars when fully kitted out — the thought of anyone other than a film studio dropping six-plus grand on a camera is not as crazy as it once was. 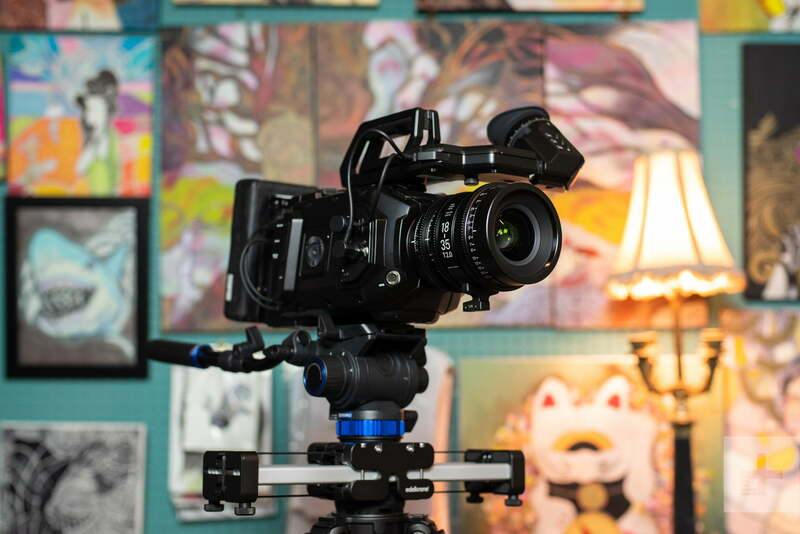 The Ursa Mini Pro offers one of the most affordable entry points into the world of high-resolution, cinema-quality film production, and modern content creators — from indie filmmakers to YouTubers — may find it appealing for that reason. Even if you’ve never used a digital cinema camera before, the Ursa Mini Pro is surprisingly easy to pick up. We recently spent some time with the Ursa Mini Pro, producing content for DT’s YouTube channel as well a short documentary (embedded below). As we generally shoot with hybrid mirrorless cameras, this article is coming from the perspective of non-cinema camera users who may be interested in learning what’s to gain by investing in one. The Ursa’s benefits are immediately clear, but that doesn’t mean it’s the right camera for everyone. There are still a host of drawbacks to shooting this type of camera that may make the investment not worth it, depending on what you do. But if you’re an experienced video shooter looking to step up from a DSLR or mirrorless camera, the Ursa Mini Pro makes the transition as painless as possible. Even if you’ve never used a digital cinema camera before, the Ursa Mini Pro is surprisingly easy to pick up. Well, perhaps not physically pick up — it weighs 5 pounds, and that’s without a lens, battery, or other accessories attached. But as far operation goes, the learning curve is refreshingly mild. Thanks to the touchscreen and intuitive user interface, so long as you have an intermediate understanding of manual exposure settings, you can get up and running in no time — you don’t even need to learn the physical controls on the camera (although, you’ll probably still want to, eventually). While you can control virtually anything you want from the touchscreen, there are still dedicated buttons for quickly accessing different settings without needing to look at the monitor. The touchscreen is what makes this camera so approachable to novices, particularly younger users who grew up on smartphones, but the physical controls are what makes it a true professional tool. The biggest surprise was just how easy it was to use the Ursa Mini Pro as a single operator. The Ursa Mini Pro also gives operators ample choices for how to record footage. By default, it offers both dual SD card slots and dual CFast 2.0 card slots, but our test unit came with the Ursa Mini SSD Recorder mounted to the back, giving us a third storage option. While CFast and SSD are obviously great for professional use, the inclusion of SD card support is another thing that makes this camera approachable to novices moving up from a mirrorless or DSLR camera. Keep in mind, you’ll need the fastest of the fastest in SD media to utilize the higher quality settings on the Ursa Mini Pro, so you won’t necessarily get away with the cards you’re currently using. According to Blackmagic Design’s support page, even the fastest SD cards aren’t enough for 4K RAW. The biggest surprise was just how easy it was to use the Ursa Mini Pro as a single operator. Looking at it, you expect it to be a lot more complex than it actually is. Yes, it’s certainly bulkier than a DSLR or mirrorless camera, but it didn’t overload any of our gear and we were still able to get all of the shots we needed with relative ease. As with still cameras, the limits of any cinema camera are defined by the lenses — and the Ursa Mini Pro gives you many options. The camera can be purchased in either Canon EF or Nikon F mounts, with PL and B4 mounts also available for higher-end cinema and broadcast customers. The EF version features electronic communication with the lens, while the F-mount version is purely mechanical, but does include a clickless aperture ring for smooth, infinitely variable iris adjustments on Nikon lenses. With the wide availability of classic Nikon glass on the used market, that’s not a bad way to go. The default use of shutter angle rather than shutter speed in the Ursa might potentially throw new users off. The aperture is also indicated in T-stops rather than F-stops; an F-stop is a simple mathematical ratio based on physical size of the lens opening, whereas a T-stop is an actual measurement of the amount of light that passes through the lens. Not all f/1.4 lenses are necessarily transmitting the same amount of light, but any two t/1.5 lenses should be. As with T-stops versus F-stops, one detail of the Ursa’s operation that will potentially throw new users off is the default use of shutter angle rather than shutter speed. Shutter angle is a throwback term to cinema film cameras that used rotary disk shutters and is generally still preferred in the motion picture world, while shutter speed is used in still photography. You will often hear people speak of “equivalent” shutter speeds and shutter angles, but note that this is dependent on framerate. The standard shutter angle is 180 degrees, which means the exposure time is half of the frame rate (360 degrees would be equal to the frame rate). So, at 30 frames per second, a 180-degree shutter has an exposure time of 1/60 of a second. In this example, a shutter speed of 1/60 is equivalent to a 180-degree shutter angle — but this isn’t always true. Change the framerate to 60 frames per second and a 180-degree shutter now has an exposure time of just 1/120 second. Beyond T-stops and shutter angles, there’s a third component to video exposure that’s less common in still photography: Neutral density (ND) filters. Unlike the screw-on filters you use with your DSLR, the Ursa Mini Pro has three levels of ND built-in, so you can select 2, 4, or 6 stops of density with the press of a button. This lets you maintain the desired depth of field in different lighting conditions without having to ramp up the shutter speed and risk running into the Saving Private Ryan effect. The Ursa is especially great for shooting in any uncontrolled lighting situation when you need to preserve detail. But for everything it offers, the Ursa Mini Pro may confuse users who are accustomed to getting everything they need in the box. When you buy this camera, you buy exactly that: a camera. There’s no kit lens, there’s not even a battery. If you want to use a battery, you’ll first need a battery plate — which can be purchased separately for $95. Our test unit arrived with a VLock battery plate, but no batteries. As we discovered after visiting two local rental houses, nobody in the Portland, Oregon area rents VLock batteries. Fortunately, we were able to rent an Anton Bauer Gold-mount battery along with a Gold-mount to VLock adapter. This is a level of complication you’d never have to worry about with a Sony or Panasonic mirrorless camera. That said, the Ursa Mini Pro’s adaptability to industry standard accessories, without any reliance on proprietary optics, media, or power, is another thing that makes it so versatile and valuable. 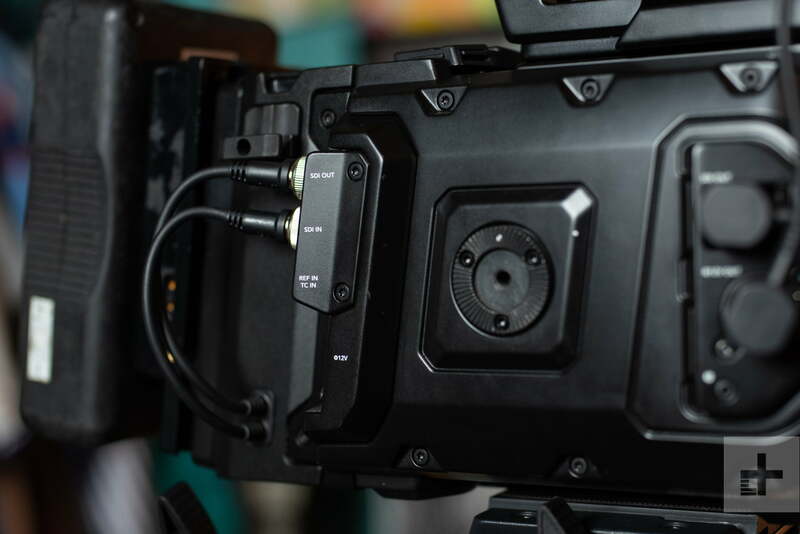 The Ursa Mini Pro is built around the same Super35 sensor used in the older Ursa Mini 4.6K. It can record 4.6K footage at up to 60 frames per second, which is quite impressive — we’re pleased if a camera can just do regular old 4K at that framerate, and few consumer-level cameras can. But the real selling point is the 15 stops of dynamic range when shooting in the Cinema DNG (RAW) format. That is a lot of latitude, making this a great camera for shooting outdoors or in any uncontrolled lighting situation when you need to preserve detail across a broad tonal range. However, RAW video is one of those things that only the bravest among us dare use. The storage speed and size requirements are daunting, to say the least. Fortunately, the Ursa Mini Pro also offers native Apple ProRes recording in a variety of flavors to suit different production scales and budgets. You won’t get quite as much dynamic range from ProRes, which is why DT’s video team opted to shoot LG’s latest OLED television review in RAW to preserve the full dynamic range and color the television was capable of displaying, but it’s more than good enough for most of us. In fact, it’s what we used for the majority of our testing, and the results are simply stunning. There is a certain quality about the Ursa’s footage that we can best describe as organic, or perhaps film-like. With RAW video, you get everything the sensor can see; nothing is thrown away. It’s sharp but natural, a look that simply doesn’t exist on the vast majority of DSLRs and mirrorless cameras, which often rely on artificial sharpening and baked-in, punchy contrast curves that ruin dynamic range. Mirrorless cameras that offer logarithmic tone curves, like many Sony and some Panasonic models, come much closer, but the Ursa is simply on another level. But all of that quality doesn’t come for free. Whether you plan to shoot in RAW or not, there’s a good chance footage from this camera is going to eat up much more space than you’re used to. In ProRes 422 HQ (not quite the top of the pyramid in ProRes quality, but close) a 512GB Lexar CFast 2.0 card gave us just 66 minutes of record time. The short of it is, this is not the camera for recording your kid’s Little League game. For everything it brings to the table, the Ursa still has some lingering issues. For one, ISO maxes out at 1600, so if you’re looking for a low-light champion, this probably isn’t it (although, you can likely push footage pretty far in post should you need to). Secondly, there’s no global shutter here, so this camera suffers from the annoying “jello cam” effect just like every mirrorless camera and DSLR out there. For quick pans, fast moving subjects, or other shots with a lot of motion, this can be quite annoying. Beyond just giving you better image quality from the start, the Ursa Mini Pro gives you flexibility to make corrections and adjustments in post. In fact, it is in post-production that Blackmagic Design first made a name for itself, initially with video capture cards and later through the acquisition of DaVinci Systems and its Resolve coloring software. To that end, each Ursa Mini Pro sold comes with a licensed version of DaVinci Resolve Studio, which is now a full-fledged video editing suite in addition to being the industry standard for color grading. What may not be obvious to everyone is that what’s holding back the video on your DSLR or mirrorless camera isn’t so much the hardware itself, but rather the processing and compression. If you do plan to edit and color RAW footage, you’ll need a pretty beefy computer, not to mention lots of free hard drive space. Most of these cameras have excellent sensors inside of them, but their video modes are designed more for shooting footage to be immediately played back, rather than going through an extensive color grading process A few cameras, like the Panasonic GH5S, do much more than others to preserve video quality, but most deliver far less than what the sensor is technically capable of. With RAW video on the Ursa Mini Pro, you get everything the sensor can see; nothing is thrown away, just like with a RAW still photo. And even with ProRes, you retain far more data than the compressed video formats, like H.264, found in consumer cameras. The camera also gives you the option of “film” or “video” dynamic range when shooting in ProRes — choose the former if you want to be able to grade it, or the latter if you just want to turn around a project as quickly as possible. If you do plan to edit and color RAW footage, you’ll need a pretty beefy computer, not to mention lots of free hard drive space. Again, ProRes footage is much less demanding. 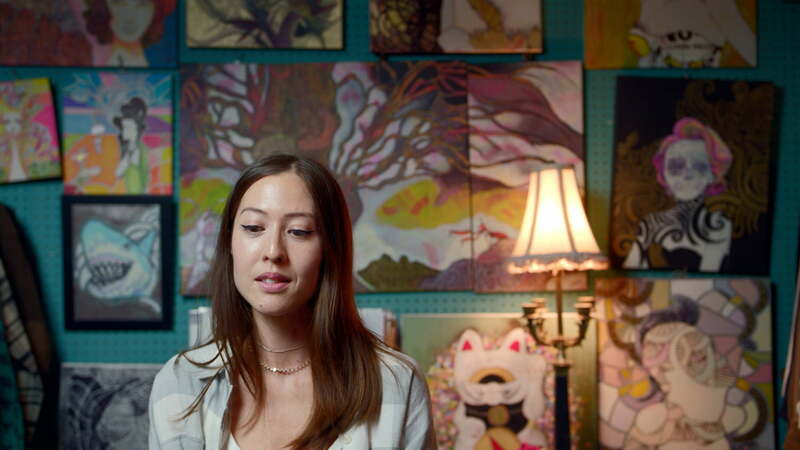 Even on a 6-year-old iMac, we were able to edit and color ProRes files in Resolve 15 with little trouble. Naturally, ProRes footage also plays very well inside of Apple Final Cut Pro. In a nutshell, here are the pros of ditching your mirrorless camera or DSLR and going for the Ursa Mini Pro: It gives you video-specific controls, built-in ND filters, nearly limitless customization and adaptability, and incredible image quality with high-end file types that can actually retain that quality through postproduction. This camera is an example of what’s possible with the union of consumer and professional technologies. What it doesn’t give you is the compactness, affordability, or creature comforts of a modern mirrorless camera system, and this, plain and simple, is going to be the deal breaker for many people in the DT audience. Need face-detection autofocus for your vlog? Too bad. 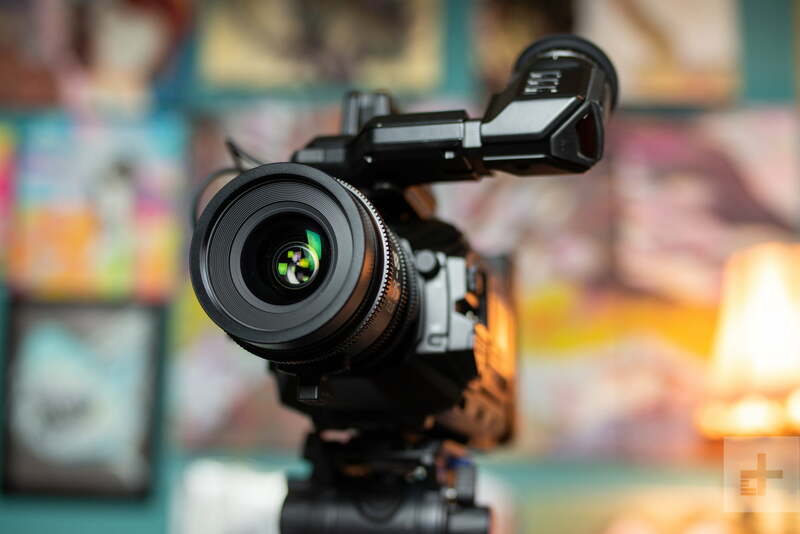 While the lines between traditional cinema and online distribution platforms like Vimeo, YouTube, and Facebook have blurred, a camera like the Ursa Mini Pro still only makes sense for certain types of productions, not to mention certain budgets. It should appeal to the indie film crowd and larger YouTube channels, but it isn’t quite the cinema camera for the rest of us (the upcoming Blackmagic Pocket Cinema Camera 4K may be just that). However, this camera is an example of what’s possible with the union of consumer and professional technologies. It is powerful yet approachable, easy to learn but with plenty of room to grow into, and it can scale to meet the needs of a variety of workflows, from a single operator to a full production crew. That it comes from a company that only produced its first camera in 2012 makes it all the more impressive. But the best part is simply the quality of the footage itself. After seeing what that 4.6K sensor can do, especially when paired with Sigma cinema glass, it’s hard to go back to a basic mirrorless camera. 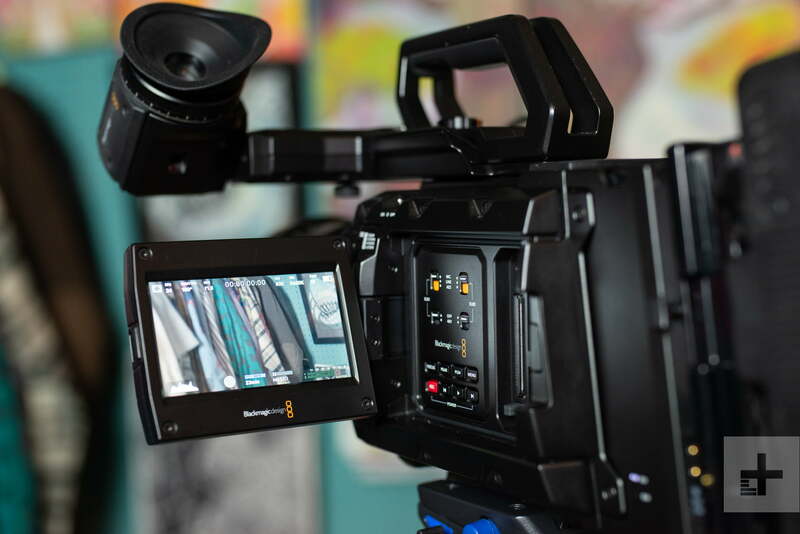 Yes, it takes more work — but as with all creative pursuits, there is a direct relationship between what you put in and what you get out, and the Blackmagic Ursa Mini Pro both allows and invites you to put in more, and thus gives you more back. Once you’ve experienced that for yourself, the idea of lugging around a large rig with no autofocus or autoexposure suddenly doesn’t sound that bad.